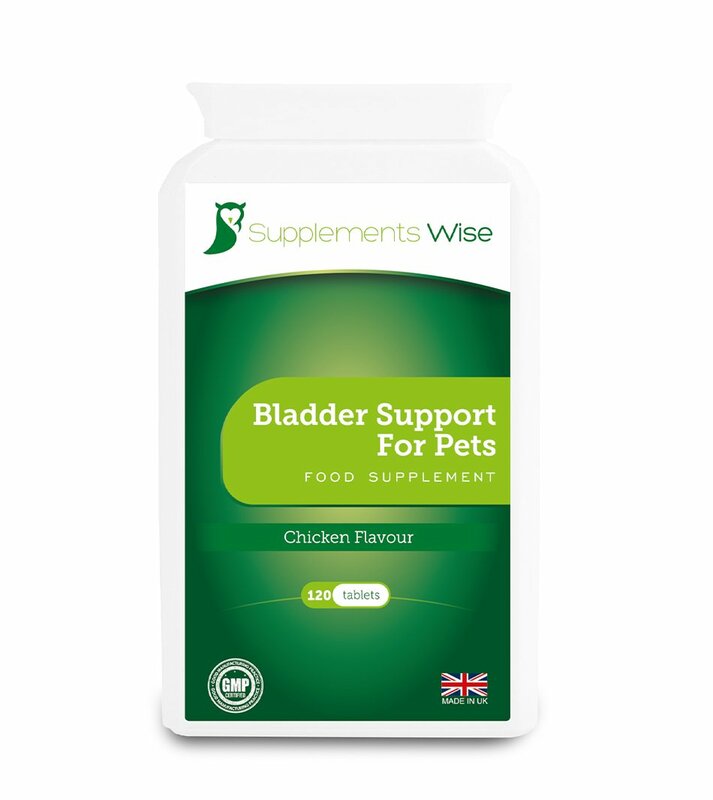 Supplements Wise Bladder Support For Pets provide a tasty chewable chicken flavour UTI remedy for your dog or cat. 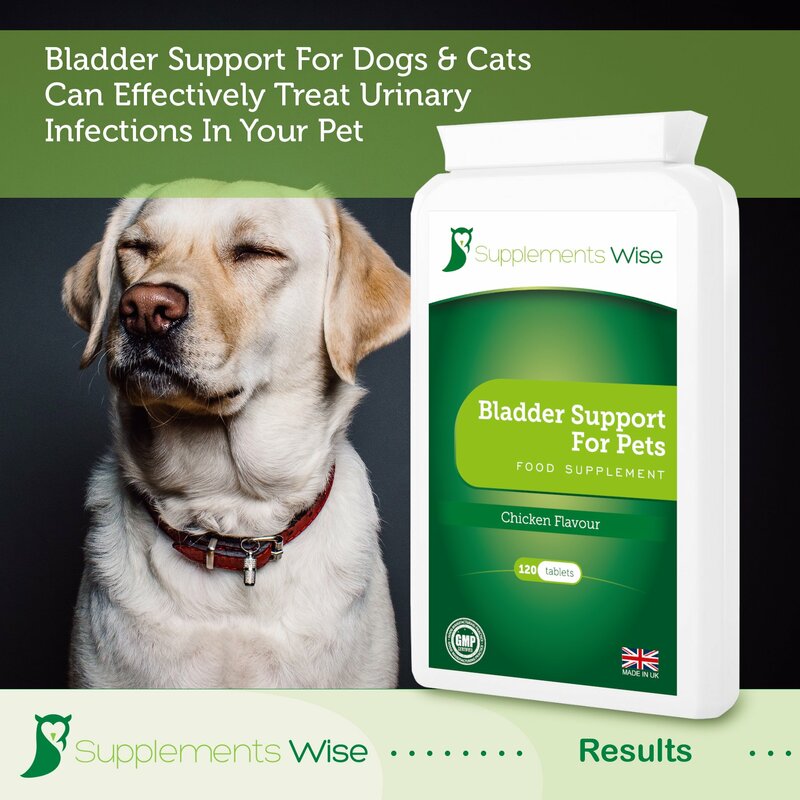 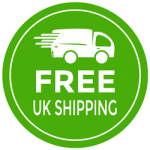 Supplements Wise Bladder Support For Pets tablets provide relief from urinary infections, such as cystitis, for your dog or cat by flushing harmful bacteria from the bladder. 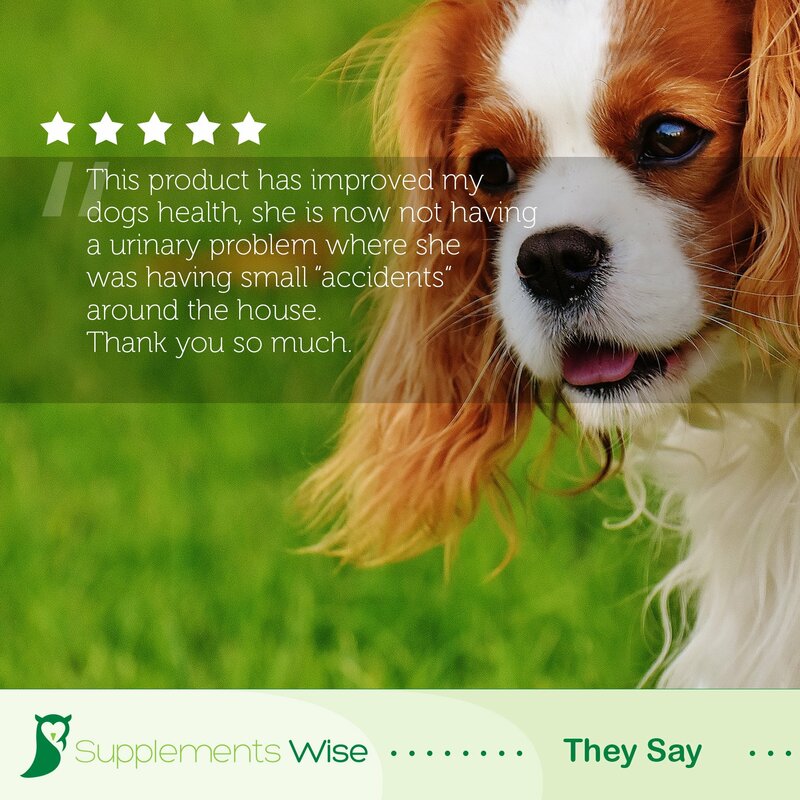 This specially formulated dog urine infection treatment is packed with natural ingredients known for their benefits towards UTIs and bladder control, such as d mannose and cranberry meaning less accidents around the house! 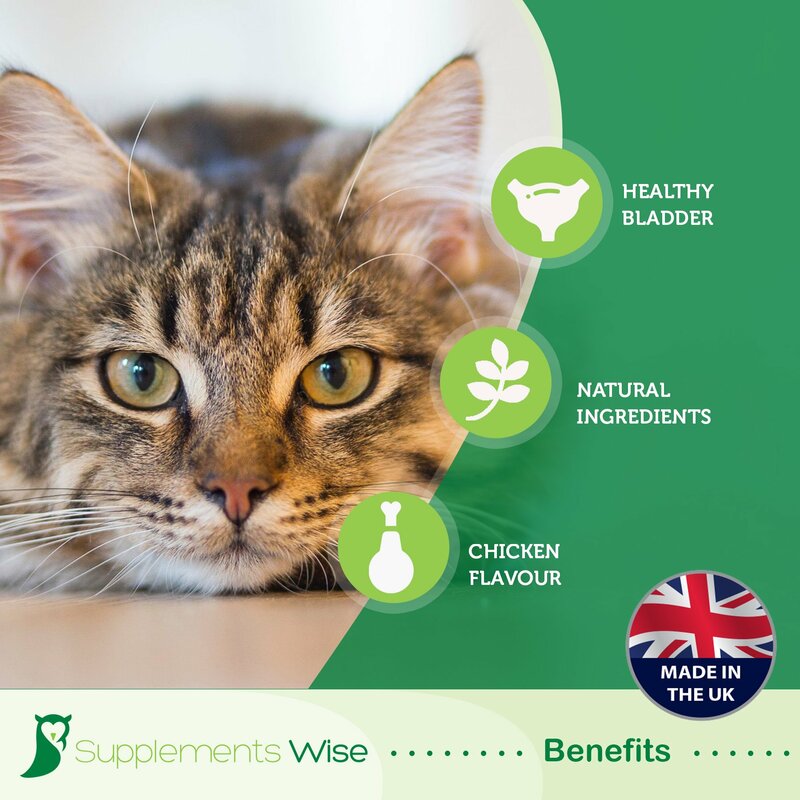 Our cystitis remedy for dogs and cats are high quality, using only the finest, human grade ingredients. 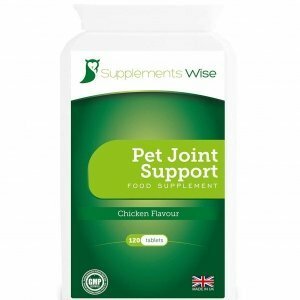 These yummy chicken flavour tablets are easy to administer. 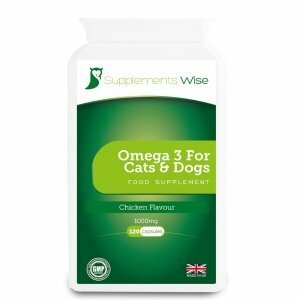 Simply feed to your pet directly or, for cats and smaller dogs, crush up into food. 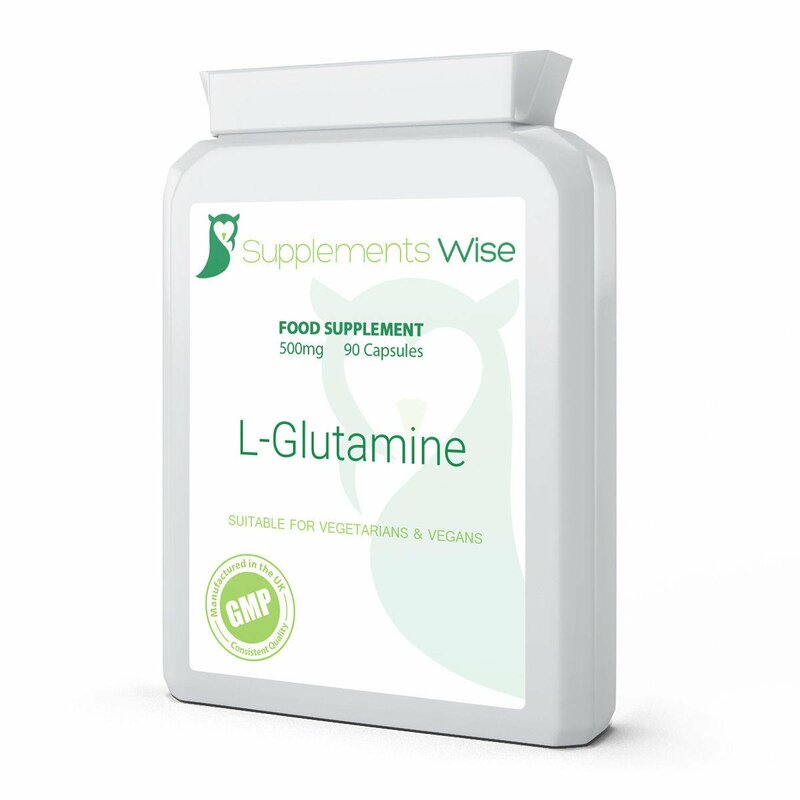 Check out some of the reviews for this powerful supplement at our Amazon listing here. 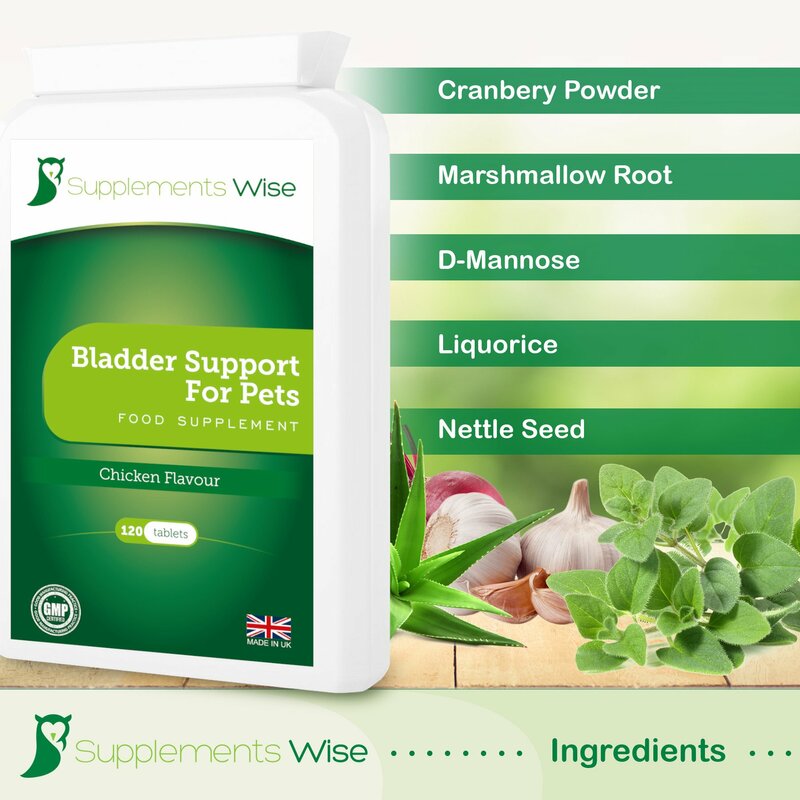 Cranberry Powder 75mg, Marshmallow Root 50mg, D-mannose 50mg, Liquorice 50mg, Astragalus Root 40mg, Nettle Seed 10mg, Di Calcium Phosphate, Microcrystalline Cellulose, Magnesium Stearate, Chicken Flavouring. 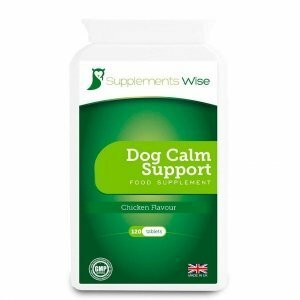 If your pet is on medication, under medical supervision, pregnant or nursing always consult your vet before administering health supplements. 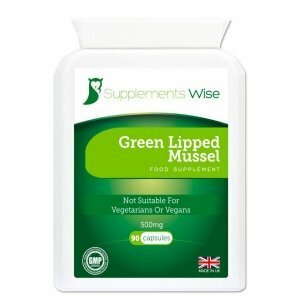 Side-effects from this supplement are rare but please discontinue use and contact your vet immediately in the event of an adverse reaction.